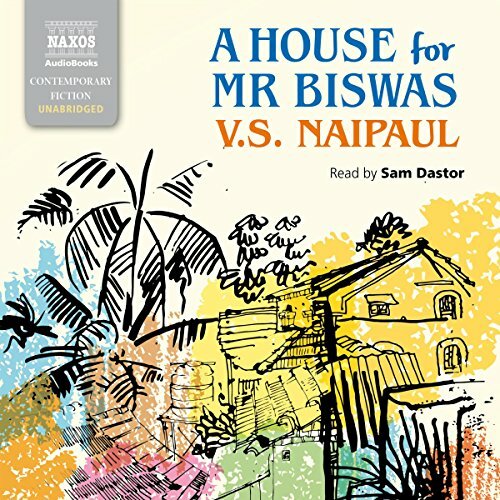 A House for Mr. Biswas, by Nobel and Booker Prize-winning author V. S. Naipaul, is a powerful novel about one man's struggle for identity and belonging. Born into poverty, then trapped in the shackles of charity and gratitude, Mr. Biswas longs for a house he can call his own. He loathes his wife and her wealthy family, upon whom he is dependent. Finding himself a mere accessory on their estate, his constant rebellion is motivated by the one thing that can symbolize his independence. The book is striking in its lush and sensual descriptions of Trinidad and was listed as one of Time magazine's 100 Best English-Language Novels from 1923 to 2005. This is a long, funny, sad, sometimes frustrating story about a man who dreams of something better. It's not an easy listen, but well worth the time invested in the end. As always, Sam Dastor brings the story to life with his narration. I could honestly listen to this guy read the phone book. He interprets the author's words beautifully. Naipaul never dissapoints in his narrative. This is a very simple story of a man who lives a fairly, short life on the fringes of poverty and amidst a patriarchal household. 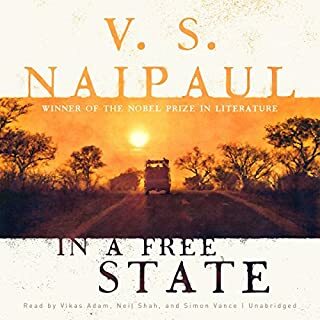 Many readers can be put-off by the pure absurdness of this story-line but for me as a Naipaul advocate, this is pure magic. The protagonist, Mohun Biswas, is a dreadful character who continuously bites the hand that feeds him and wishes for grander things in life. His wishes to escape the chains of the Tulsi clan and buy a house of his own are the center pieces of the story. The novel spans the years of his life: his unhappy and tragic childhood, marriage to Sharma and the expectations of the Tulsis, children, and the continuous machinations of the sister-in-laws and brother-in-laws. Getting beaten and giving a beating is expected in the Tulsi house. I wanted so badly for Mr. Biswas to succeed and yet, at some junctures, I wanted him to fail. That is the beauty of the story and the book. Remember the first chapter and then you will understand the rest of Mr. Biswas’s life and trials. Loved this book and the narration was pretty good too. 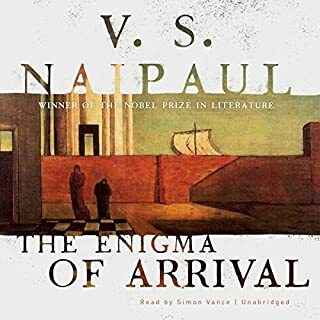 This was my first Naipaul book, one which had come recommended, and I was not disappointed. The immersion into the world of Mr. Biswas (who was, I read, a facsimile of Naipaul's father) amounted to 21 hours of bliss for this reader. 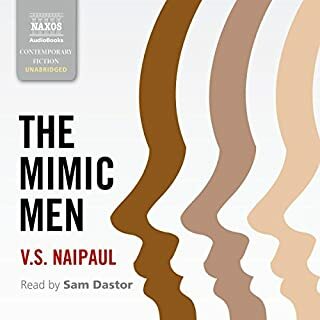 The details of his life were delivered with wry humor, wit, and a nuanced pathos that left me with compassion, amusement, awe at Naipaul's mastery, and a strong desire to travel to Trinidad. The descriptions of the landscape were rendered with such perfection, I could taste and smell the vegetation and salt spray. The characters were plentiful, full of life, and both vexing and pleasing in their insistence on being real. I cannot recommend this book highly enough. I felt that the narrator was superb, and rendered the accents perfectly, and further, that he enhanced the experience of this book, by adding subtle expressive substance to the wonderful dialogue. This thoughtfully written story of of man's journey to find his place is a reflection of every man struggle. Beautifully constructed, eloquent and playful, it speaks to anyone, regardless of station, nationality, or era, trying to find their place in this world. While recognising the excellence of the writing, and bearing in mind the author's reputation, I still found this book tedious. None of the characters was sympathetic and I just became more exasperated as it went on. I couldn't finish it and so I returned it. Sam Dastor's narration was however, excellent. Another from one of the great storytellers. The sequence of events is a bit depressing, but it’s impossible to become fully involved with the characters and events. The narrator is one of the best I’ve heard. The dialect is perfectly executed, and the timing of the dialog is good for many laughs. 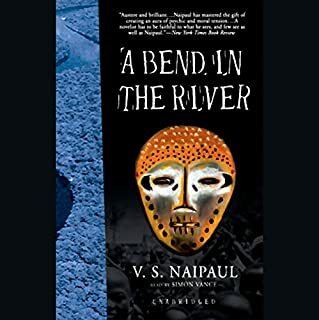 Although I’ve only read it in paper, Naipaul’s “A Bend in the River” is a must read. One of the top 10 books I’ve ever read. 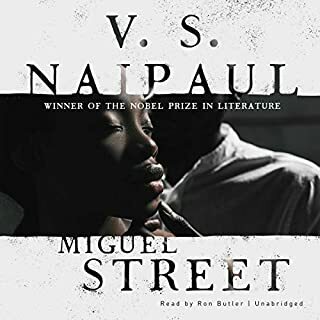 Naipaul’s depth of understanding of human nature, his detailed descriptions, and believable dialogue..makes his characters real and the story alive. Well worth reading. One of the best written books I’ve ever read. I expected more. While I'm certain the novel is deeper than I was able to read and listen to, I'd like to think it's difficult to fault someone (me) for being so distracted by the protagonist Mr. Biswas' narrative voice, which is undoubtedly one of the most annoying, cringe-inducing in all of literature. Think: SNL's 'Coffee Talk' with special guests Fran Drescher and Sponge Bob Squarepants. This is a great novel read by an exceptional narrator. Vivid and precise, a complete world unfolds effortlessly. The oration is absolutely wonderful and changed the book from reading good literature to listening to an outstanding story, Sam Dastor’s voice really brought the characters to life, full of humour and pathos. Highly recommended to all of my friends. 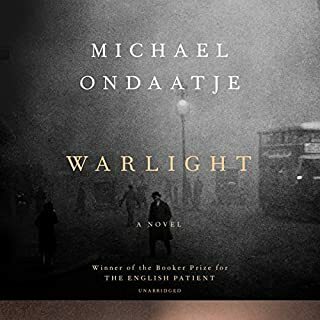 I saw another reviewer commenting to the effect that this is a tediously drawn out account of the minutiae of a life story of a nonentity in an obscure location. I have to confess that there were times in the first third or so of the narrative when I considered not bothering - having begun with the assumption that there would be something more eventful or dramatic than there is. However the characters and their exquisitely described surroundings gradually wormed their way into my consciousness to a point where I began to dread the approaching end of the story - as there would be no more of those so enjoyable sojourns in that time and place. This review does not tell you much about what the book is about but others have done justice to that task. Here I am adding my tuppence worth simply to say I am so glad I stayed with it as it is richly rewarding and satisfying in the end. A life grinds then ends, unrelenting, it rambles until the author appears to get as bored as the rest of us and ends with a degree of abruptness. I stayed to the bitter end is the best I can say about the content. the narrator did his best with the material provided. the narrator's accent was perfect in bringing the story to life. Wow it was so descriptive I was in the room with Mr Biswas, I felt his pain! I didn't want to finish the book it was that good! Hard edged writing recreates a hard life in a lost world that is as beautiful as it is harsh, tragic and timeless. you start to get really involved in his life, his disappointments, the early years stretch on, then the ending comes abruptly. This book seemed to last forever. Perhaps it was the convincing realism that made me feel as trapped as the central character, Mr Biswas. Perhaps it was the skilful portrayal of the sheer relentless immovability of the Indian family and class system that made this reading experience feel so turgid and stuck. I cannot deny the craft and quality of the writing that transported me to a world I would otherwise not know but still, I was relieved to finish and escape. An engrossing tale, told with humour and humanity, and another perfect reading by Sam Dastor.